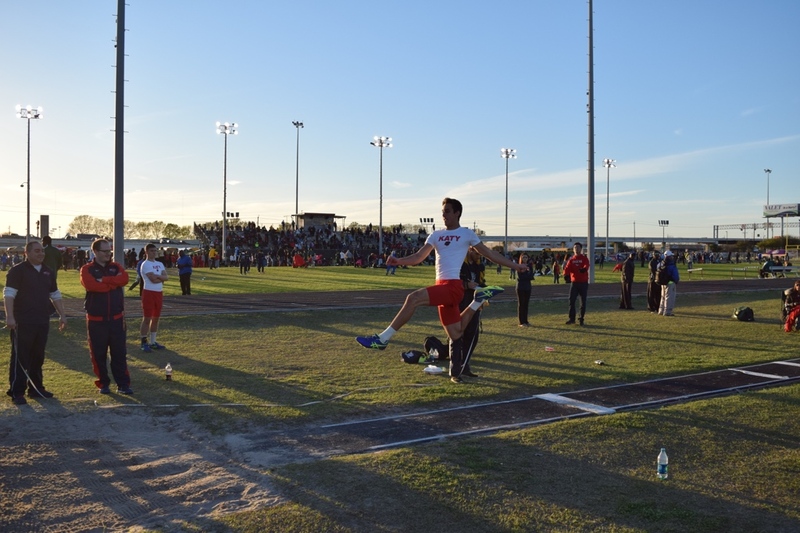 For a 14th consecutive year, Kangaroo TC will host Long and Triple Jump Camps (commuter) in Hockley / Cypress, TX (by Houston). The Kangaroo TC “learn by doing” long and triple jump camps are specialty camps. Sessions will be videotaped and analyzed, videos will be posted on the website not only for the athlete to see him/her self later, but for college exposure. More than 200 colleges and universities look at this website for educational purposes and recruiting. Sessions are limited to 5-6 athletes per group for maximum attention with a minimum of 3 athletes per group. With 3 athletes or less there will be a time adjustment in the camp or the camp could be cancelled and athletes will be given a full refund (only camp fee). See what other athletes have to say about theirKangaroo Track Club experience, and do not forget to visit our before and after gallery. Athletes only: What to bring for the “learn by doing” jumping day? (MN and TX camps) Notebook, pen, water, spikes (jump spikes if you have them). Please do not bring cameras or tape recorders. Hotel Information for the TX camps: All Kangaroo TC camps are commuter camps (this means room and board are not part of the camp) . We do not endorse any hotel, this is just a courtesy list.